The school has finally decided on our new fee structure. However, this will only take effect from April 2012 onwards. Firstly, we need to explain a few things. 1. The fee structure depends on the number of students for each cohort. This is because the more students there are, the cheaper it becomes. 2. Students will only know the final fees by February 2012. We will publish on our website the number of students the cohort will comprise of for the sake of transparency. That way, potential students will be able to gauge the final fee price. 3. 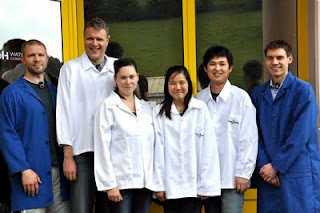 For the intake of 3 and 4 students, one more extra Instructor will be added to the course. 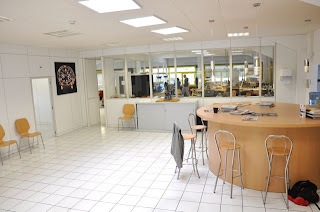 The teaching ratio will be 2 students to 1 Instructor. 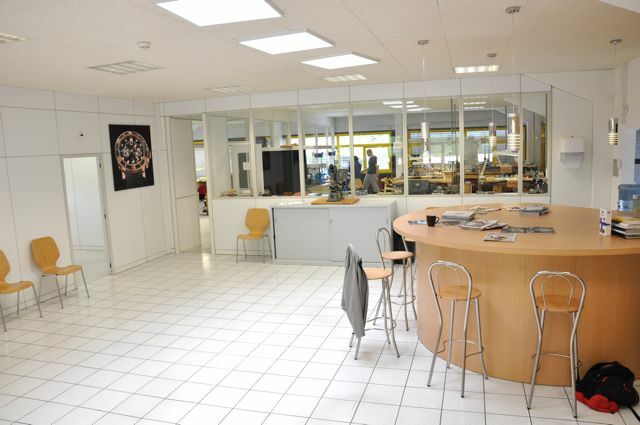 Intake of 4 students - 28,000 CHF for each student. This is the price for 2 years excluding accommodation, tools and books. * If students wishes to have accommodation for 2 years added in, the Fees will be 38,000 CHF. 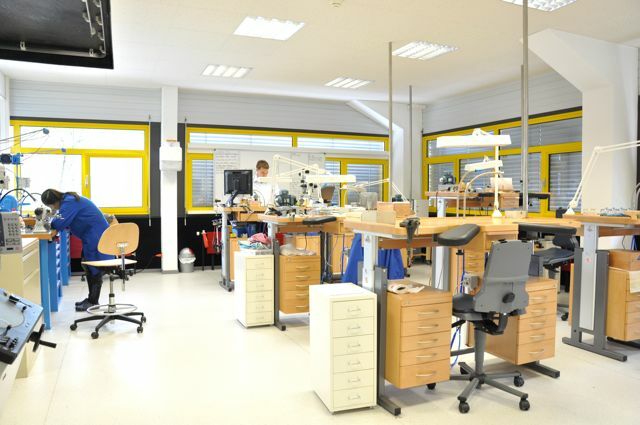 Intake of 3 students - 30,000 CHF for each student. This is the price for 2 years excluding accomodation, tools and books. 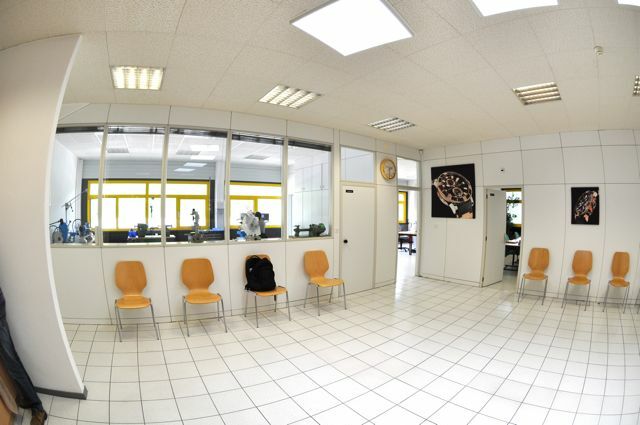 * If students wishes to have accommodation for 2 years added in, the Fees will be 40,000 CHF. 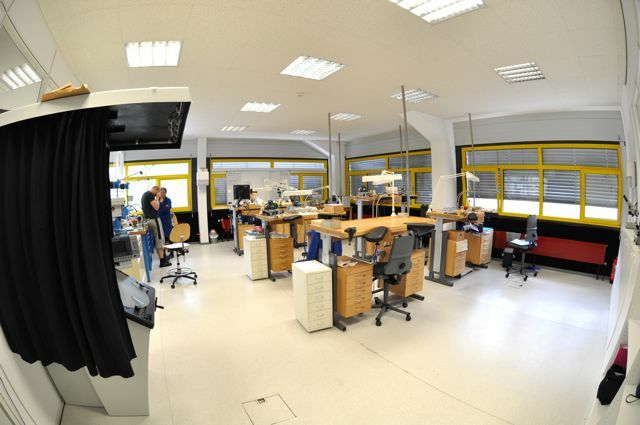 Intake of 2 students - 40,000 CHF for each student. Well, these are the profile shots of our Instructors, Principal and Patron. To qwell rumours, Willem and Henrik did not end on a bad note. This picture was taken just last week. 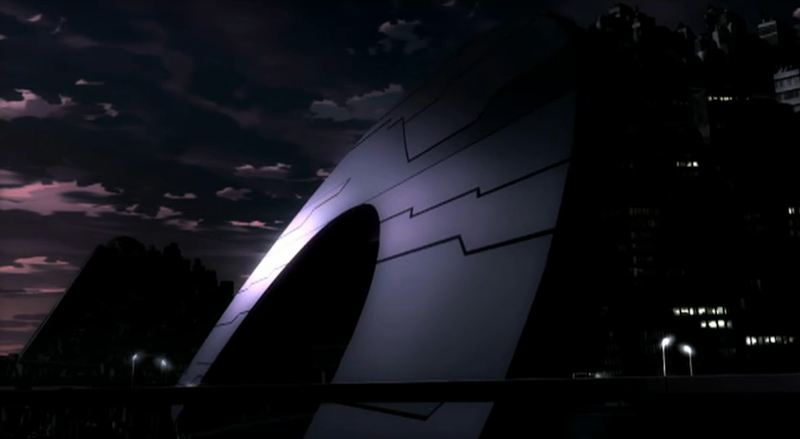 ( Week beginning 21st June 2011 ). Willem left to pursue his personal project but he still comes by now and then to say hi. He still remains great friends with Henrik and he still contributes to the school with valuable advice and resources. So, in his honor, Henrik made him a Patron of the school since both of them founded KHWCC together. To read all about Willem's profile, go to his Linked page here. We have reviewed our course fees and we will be making an announcement soon. The strong Swiss franc is discouraging and has already discouraged more than 4 potential students from coming to the school. We are going to do something about it. Pains of encasing. Drilling out a broken screw. About done. 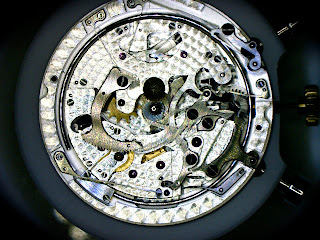 30 mins of work by Robert the Superfragilistic Watchmaker. We had a very special visitor to the school this week. He's Robert's son. Barely 3 months old. Well, someone had to do these things. 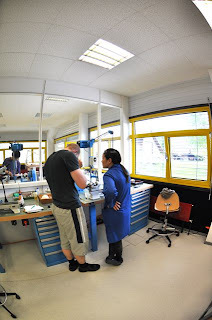 We actually have quite a healthy stock of equipment and tools for the incoming 2012 batch and we thought we might as well do an inventory this week since its mightily warm in Le Locle and its a torture to do watchmaking for long periods of time. The good news is an angel from Ulysse Nardin has approved our request for an air-conditioning system and its due to be installed very soon. 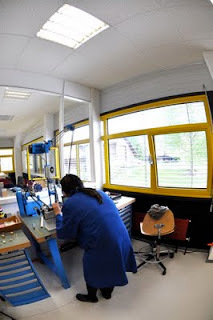 Otherwise, here are some pictures of our inventory check. 6 pieces of each tool for 6 incoming students for 2011 and 2012. 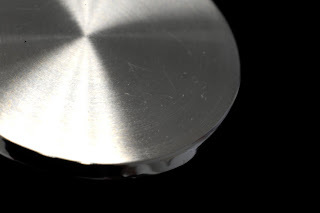 Here's a brand new set of mainspring winders from Bergeon. An almost new Horia Lathe. This is actually for Robert, our new Instructor. 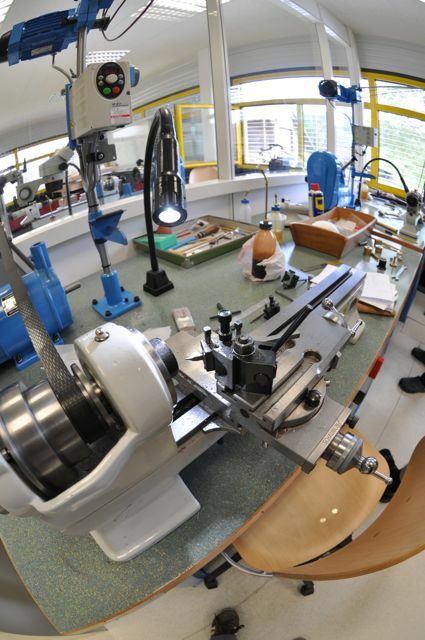 Close up pics of the Horia Lathe. The collets and other gizmos for the Horia Lathe. High powered microscope picture of the Hour Striker. 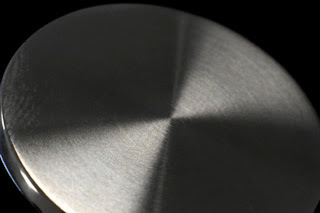 This is used to check for dust and other particles. The cool thing is that the microscope has an internal camera and a CF card jack so we can easily shoot really up close pictures. This week, we have a professional photographer who will be attached to the school for 2 weeks so we're going to have lots of really cool stuff to post. 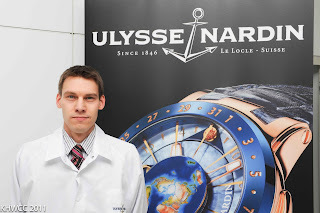 For starters, we have a HD video clip of Henrik fine tuning a Ulysse Nardin Hour Striker. 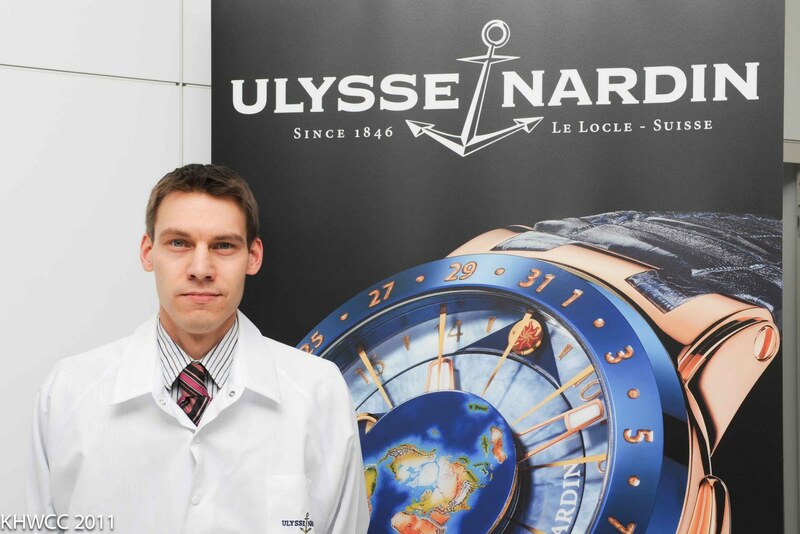 Being part of the Ulysse Nardin's Watch Academy Foundation, Henrik often gets complications like the Hour Striker and other complications to fine tune or repair or assess. 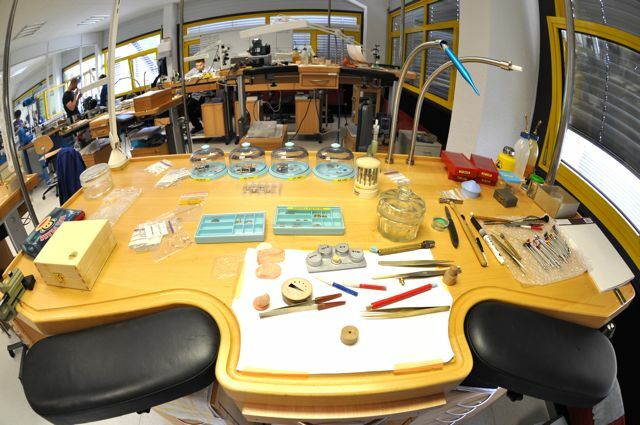 This means that students also get to observe these beautiful pieces first hand and how meticulous the process of repair or servicing, i.e UN has a very strict dust policy which means that when the watch is returned to the owner, it is absolutely dust free and this means that Henrik has to sometime spend long periods of time after school hours to make sure that there are no dust in the movement. If you wanna see the video in HD, click here or click on the caption on the first picture above. 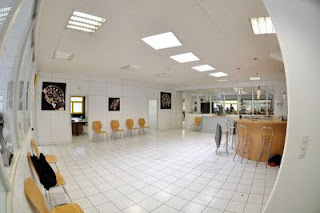 These are pictures taken by a professional photographer who is temporarily attached to the school. They are macro shots taken of a case back that was constructed by a student. More pictures to come ! Citizen. Japanese. Quartz watches. Not Swiss. Not handmade. So why the fuss ?? Actually, while back in 1980s, the quartz revolution did almost kill off mechanical watches, but yet, there's always good and bad to all things. And you need to give credit to quartz watches for one thing, IDEAS ! This is an advert made for the Citizen AppleSeed. Anime fans should know AppleSeed. Its pretty famous. 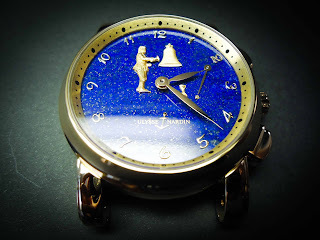 Anyway, Citizen made a really cool watch that is linked to the movie. Its limited edition and it costs more than 3000 CHF. Click on the link below to watch the clip and you'll know what i mean ! Maybe a Tron inspired superlumina double tourbillon or techno minute repeater ? Instructors ! Listen up ! 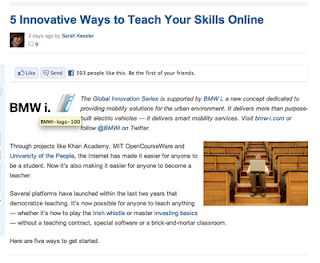 Here are a few ideas for you to explore if you're thinking of providing online classes for your students or even for specialists. 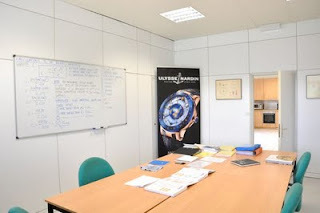 It can't replace onsite instruction but it will be useful where a qualified watchmaker who already has some basic knowledge of a certain process just wants to have a short and simple refresher. 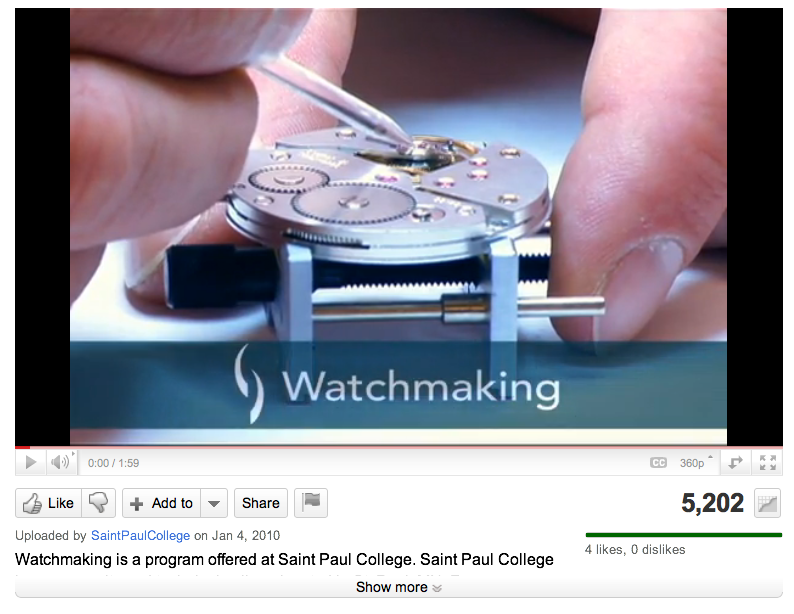 For your watchmaking students, its a great way for them to learn from interactive lessons. The possibilities are endless. 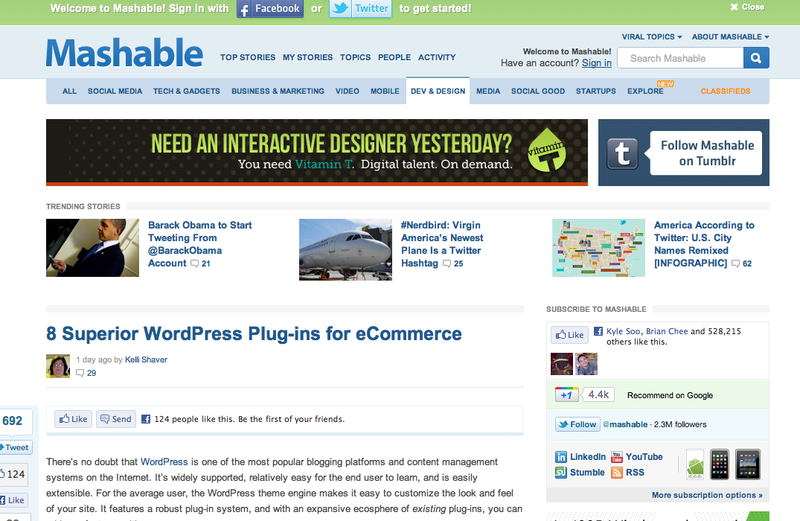 Mashable.com .. Great site for advertising and marketing ideas .. I can see the giant smirk of confusion on many people's faces. What has advertising, marketing, e-commerce and mashable.com got to do with watchmaking ? 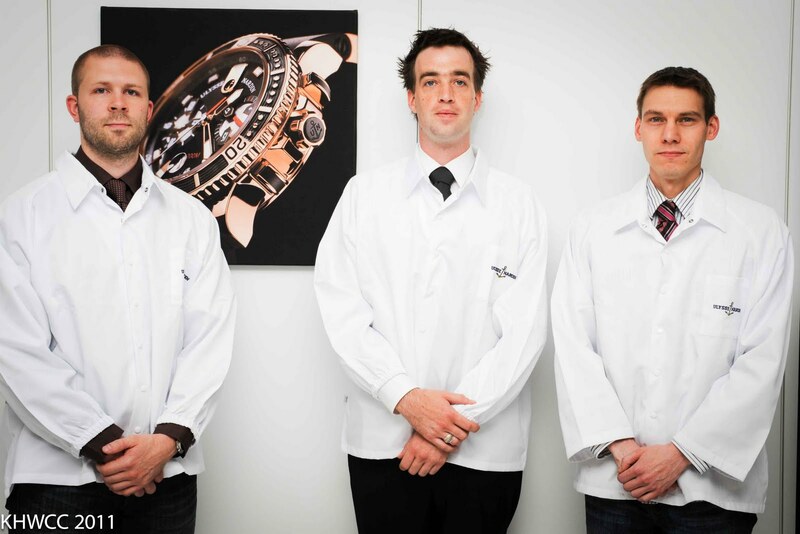 These days, watchmaking isn't just about making a wonderful product. You need to know how to sell them, how to listen to consumers and if its not about making money, then at least know how to share your ideas !! 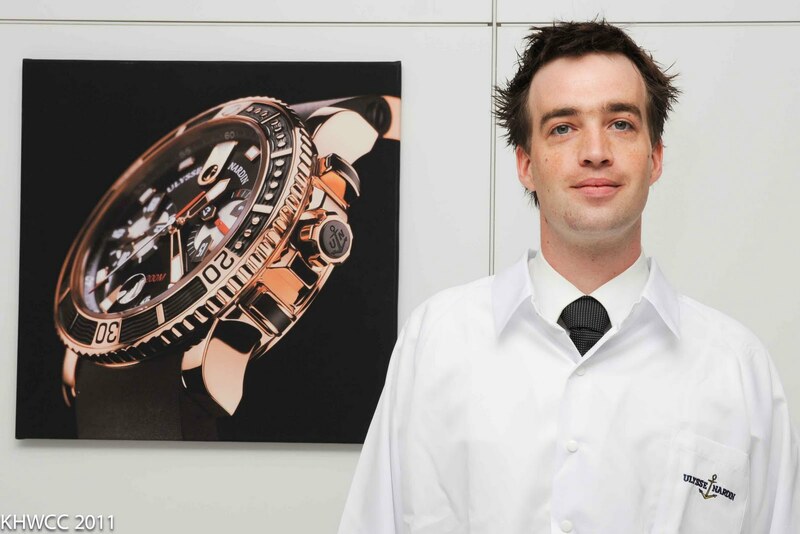 Incoming watchmaking students, Mashable.com should be required reading at least once a week .. You need to know whats going on in the consumer world even if you hate it ... Look at Gruebel and Forsey ... click on the article here ... Now thats great advertising and really good for product awareness ! 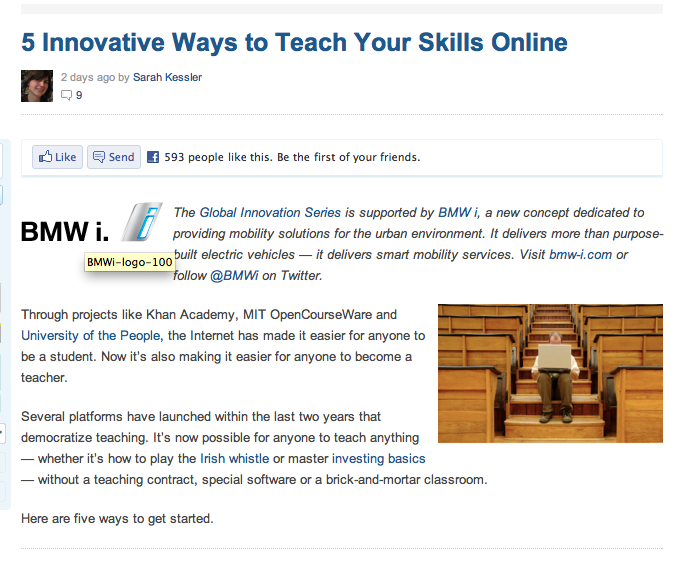 Article extracted from FT.com; this screen shot is not meant for commercial purposes and copyrights fully belong to ft.com. Check this out. Click here to read all about it ! 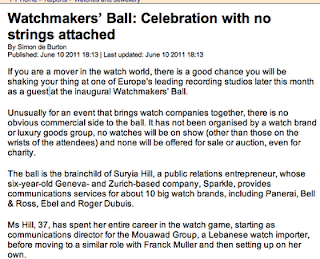 Apparently, this is a ball for Watchmakers. It promises to be and i quote " is a party for an industry that knows how to have fun. " And its only 250 Francs and its in a pretty dam cool location. And oh yeah, they have a facebook page in French and English. They also have a youtube video clip ! 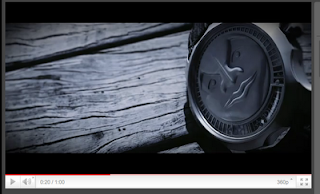 Youtube introductory clip is here. 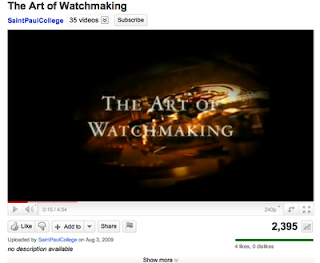 We were contemplating a short and simple video to promote watchmaking and the school so we made a quick search online, but nothing much came up. At least nothing much came up in English. 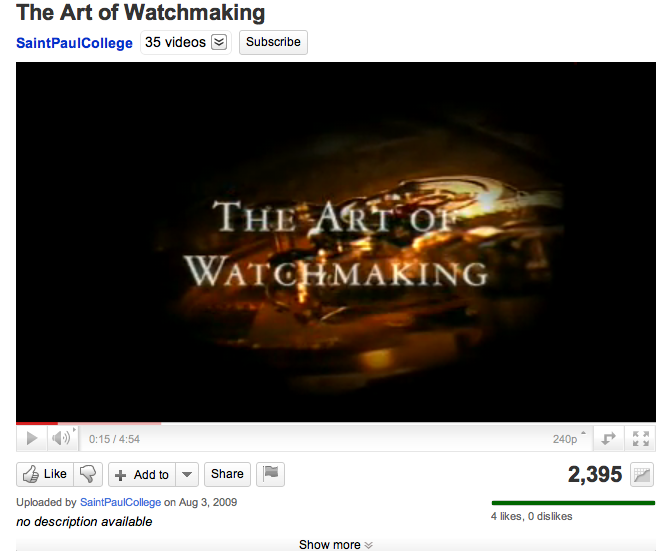 And a quick search on youtube mainly turned up 2 clips made by St Paul's College in the US. Click here and here for the 2 clips. 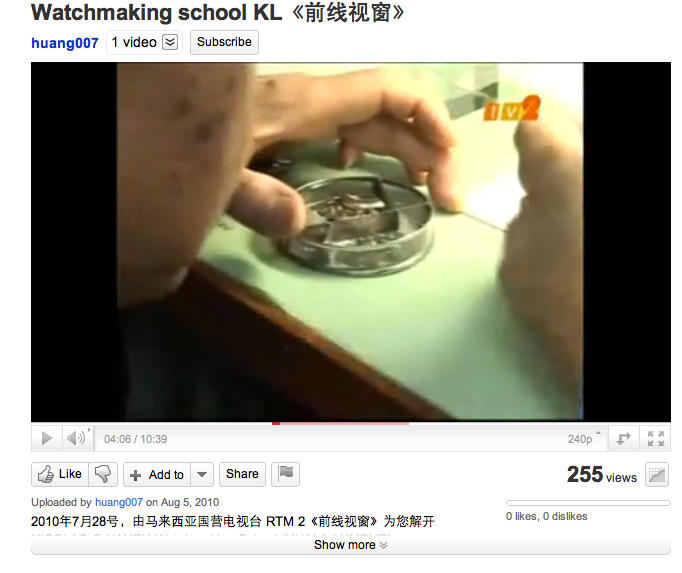 Oh, we also found a clip made by a Malaysian TV channel promoting the Nicholas Hayek Watchmaking school in Kuala Lumpur, Malaysia. Click here but be warned, its in mandarin. Where does that leave us ??? Yeah, we might have to make our own. Should we ? We all know about enamel, guilloche and engraved dials but lacquer dials are rarer. Take a look at how they do it on a Seiko Ananta. Click here. Absolutely beautiful. But the problem would be finding the people who can do lacquering. Its an art form practiced by only a few and from the little research i did on the internet, it seems the Japanese are the more well known experts around. 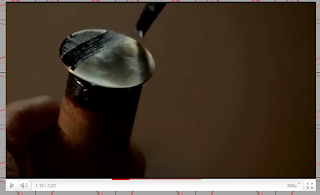 Look at this article on lacquered pens here. 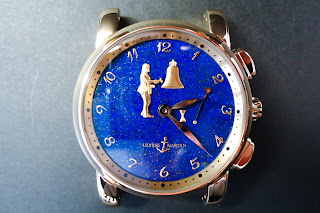 Like it or not, a well made watch is only as nice as it looks. So, even if you have the finest finished piece made but it just looks horrible, no one is going to want to wear and appreciate it. Well, WOSTEP has a website with some really nice pictures. The Hayek School in Miami has a really cool facebook page ( which we are going to have as well ! ). Lititz has an awesome looking school. Anyway, don't we all love a little competition ? 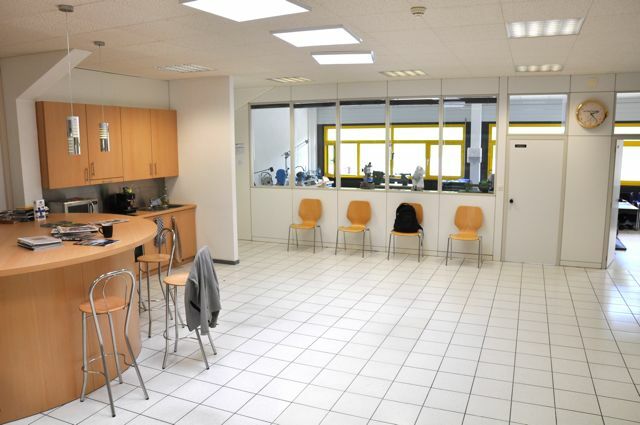 So here we go, we have a cool lab-like school !! Classroom 1 : Henrik's teaching bench is housed here. Classroom 2 : 4 more benches are on the way. This is where Robert sits. Our Schaublins. We stress its PLURAL. We have more than one. Hallway again but from the 2nd level entrance. We are so pretentious ! We just had to make the classrooms look cooler. 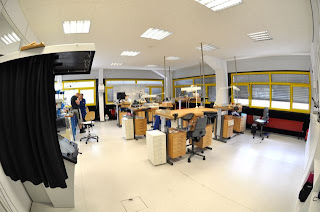 Oh, if you look at the empty space on the right side of the picture, thats where we might put our own macro photo studio. We are lucky to have a professional photographer come down and set it up for us soon in June, so we're hoping the students will be posting some really cool pictures soon after. If you're sitting down at the meal table, this is what you see. 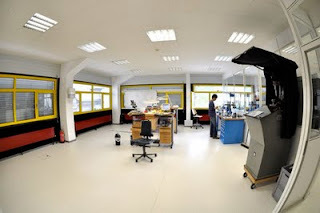 On the room, left side, is where we place most of the bigger machines. 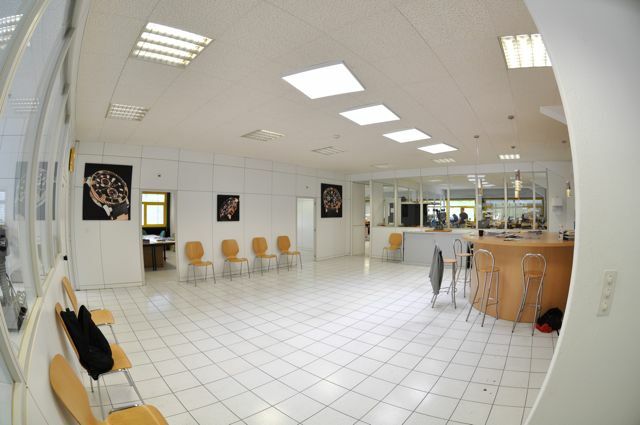 The room in the middle is the Principal's private room. 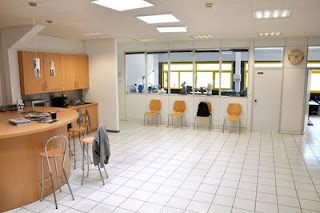 ( Henrik isn't usually in there because he's usually at his teacher's desk though ) And the room on the right is the Lecture room. There's a well stocked library in there as well. Its mainly modern books but there are a few old books as well. And when we say its well stocked, its very very well stocked. It costs the school a fortune to stock the library ! 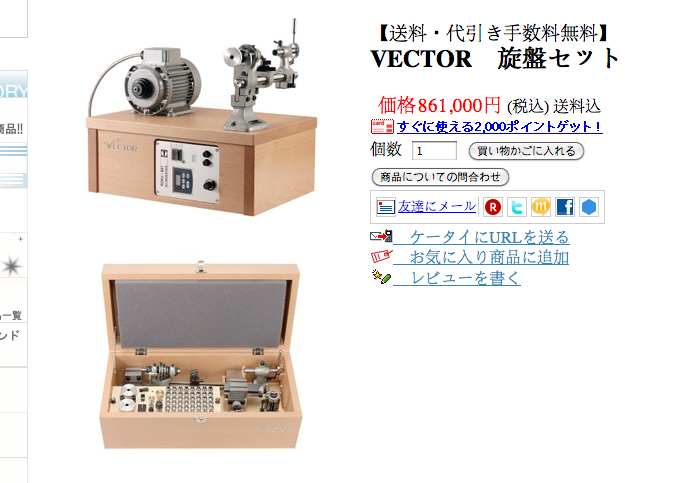 I saw this from a Japanese watch tool supplier at their website here. It looks pretty cool and very well made. Anyone has used one of these before ? 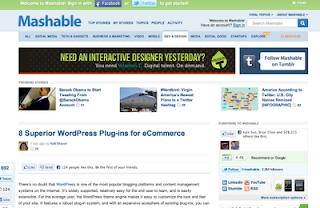 Here's another great tool for aspiring Independents. Its the AutoDesk Inventor software. Its essentially a 3D CAD/CAM programme but the great thing about the Inventor is that it is able to run simulations. Think about the benefits ! 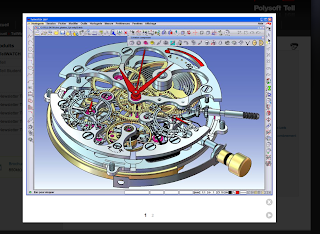 You could design a movement, put the dimensions through Inventor and make it run virtually. You would not need to spend 3 months actually building the parts to know if one thing or another is going to jam up. 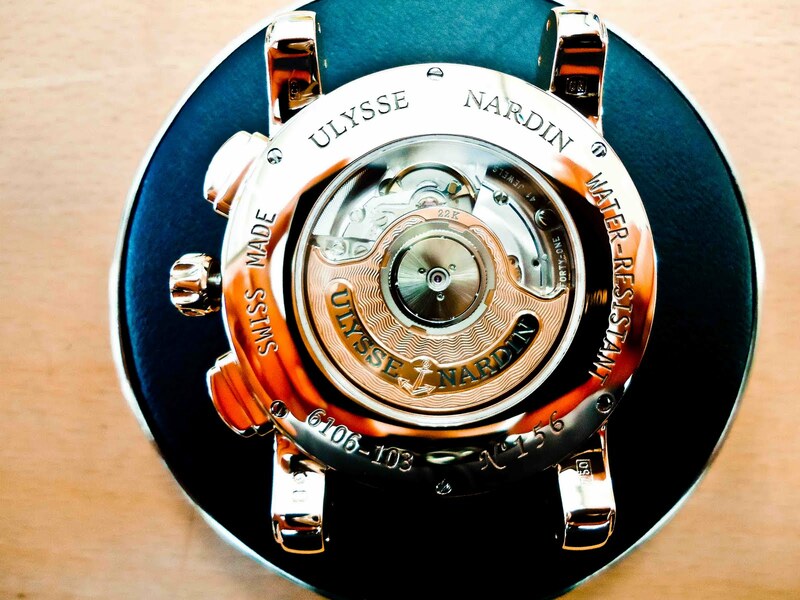 And you can't go wrong if Ulysse Nardin uses it for quick prototyping. Read the article here. There is a FREE trial for students ! Click here for details. Hey there ! Calling ALL watchmaking students ! This is something in ENGLISH and its free for us to try out !! 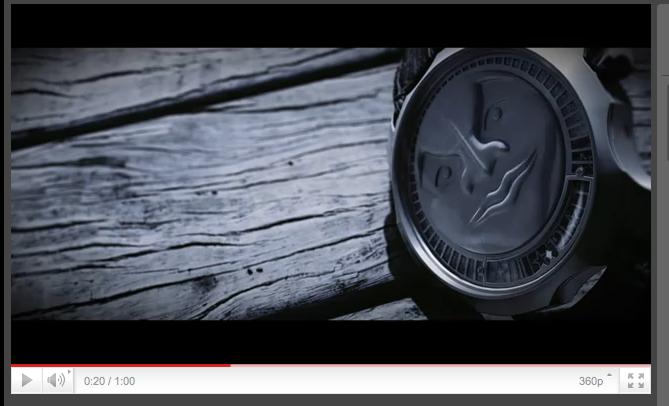 This is not a product review post nor have we been paid to say good things about Sarpaneva but his watch promo video clip rocks ! Click on the link below and see for yourself ! Come on. 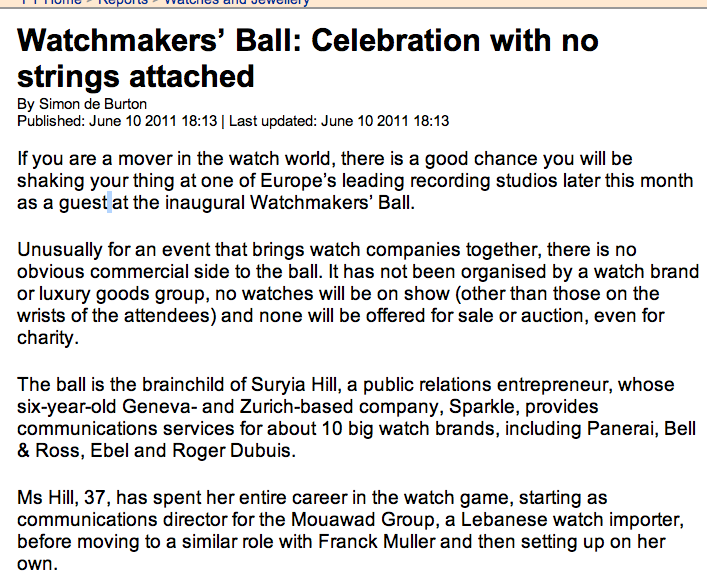 If you're a real watchmaker, you will surely have to agree with Swatch on this. Its not good for the industry if everyone just depends on one company to do everything. Nothing will improve. Nothing new will happen. Then it will die out eventually. What am i ranting about ? Read the article here. TellWatch screenshot from Polysoft Tell website. This has to be something which everyone should know about. Its a 3D CAD/CAM designed and made solely for watchmaking. Its called TellWatch. 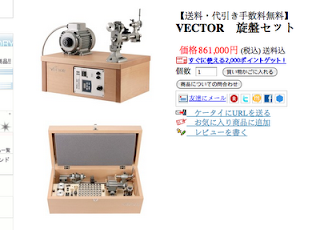 This software should be taught and used in all watchmaking schools. 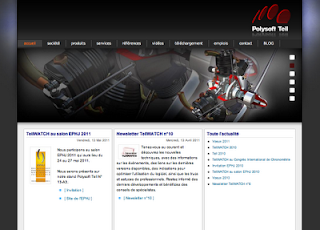 Its made by a Swiss company called Polysoft Tell. 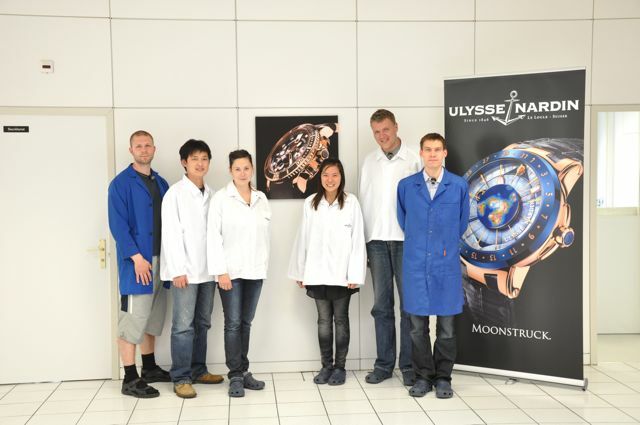 It seems like most major watch manufacturers have this software. Read an article about TellWatch here. 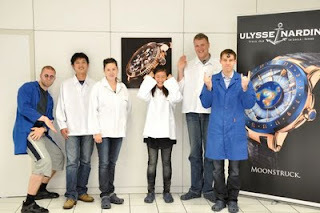 Watchmaking students ! Take note ! 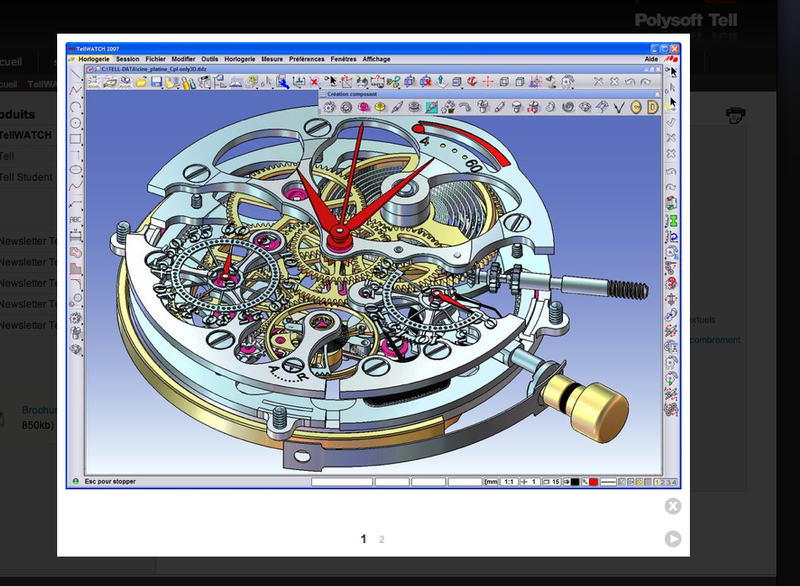 TellWatch has a student version which is FREE for download on the Polysoft Tell website. Just register your details and download ! 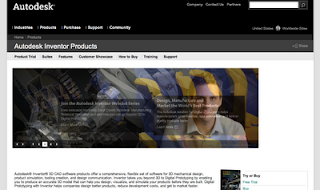 And for the rest of us, PolySoft Tell has courses on how to use TellWatch. This has been a great discovery ! 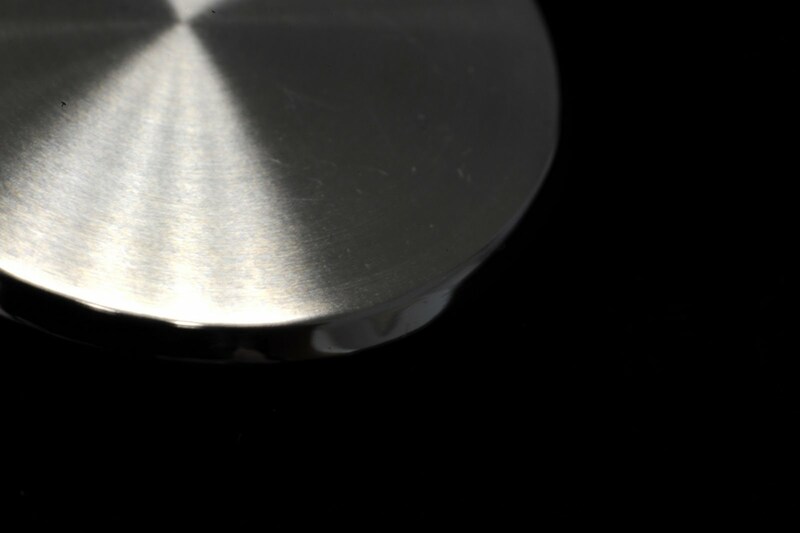 - Specifically designed for watchmaking. * After discovering this software, Henrik has emailed Polysoft Tell and is awaiting their reply. He intends to make TellWatch a core component in his Full Skill course.